Work hard. Play harder. We all know the importance of “play” on our working environment. Aside from being a great way to get away with stress, it is also an effective technique in beating creating block. 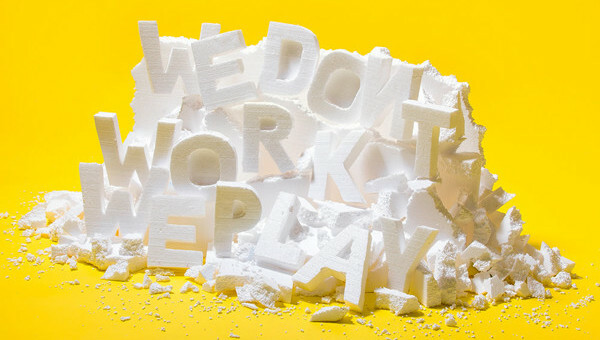 To emphasize the importance of play at work, Germany-based designers Max Kuwertz and Yanik Balzer created an amazing series of playful typography work which feature the line: “We Don’t Work – We Play“. The set was a self-initiated project for a personal exhibition with the same line as the title. Each type experiment was created using natural elements and everyday objects such as match sticks, cigarettes, toys, etc. See some of our favorites from the collection below. See more about the type experiment on Behance. Which are your favorites?